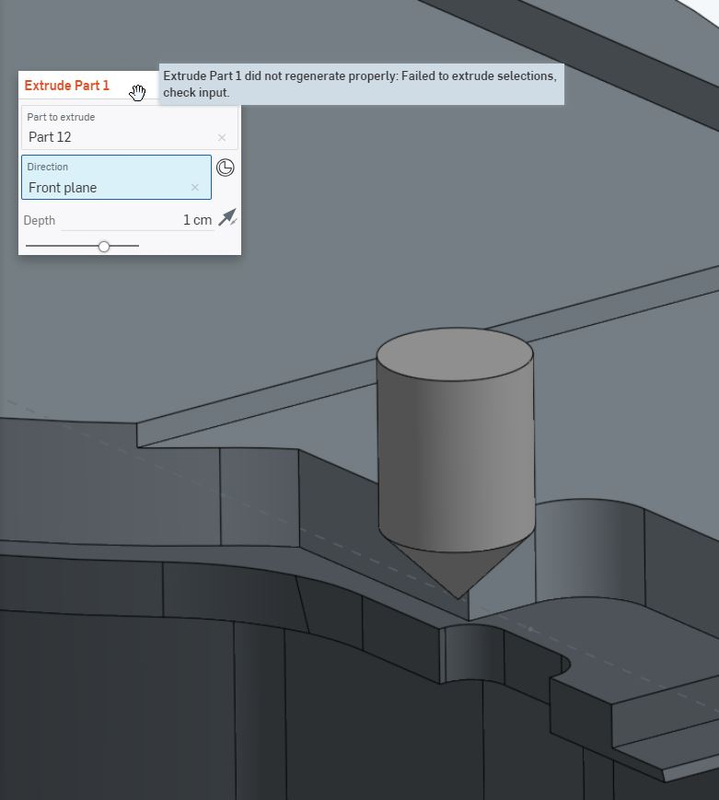 In CAM or real world milling, such geometries are no problem since you can define all axis of a tool and move it around as you please. But in the CAD design itself, it's a real pain. I managed to create the geometry by using several rotation cuts, a lofted surface which got thickened afterwards and finally a Boolean subtraction. The procedure is to move the tool by certain increments along the curve and do a subtraction after every transform. It works better than expected but the resulting surfaces aren't usable since they are not tangential to each other. @Jake_Rosenfeld and @NeilCooke already helped me with the transform along the curve. 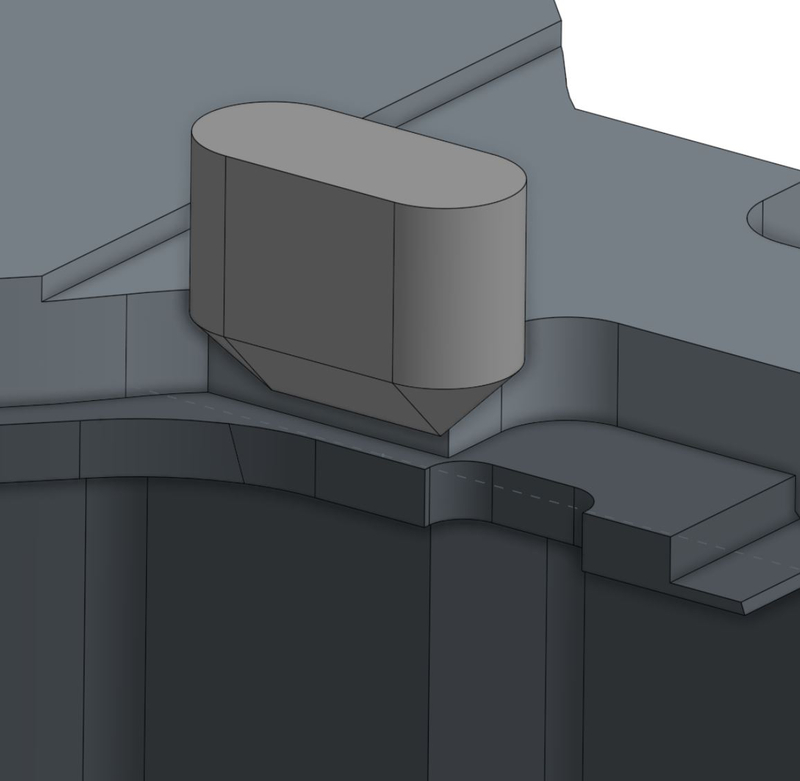 Now comes the tricky part, has anyone any idea/concept of how to smoothen the cut surface? I really appreciate any help and I hope I can create a stable and reliable feature in the end that's also useful to others. I've just got into featurescript. 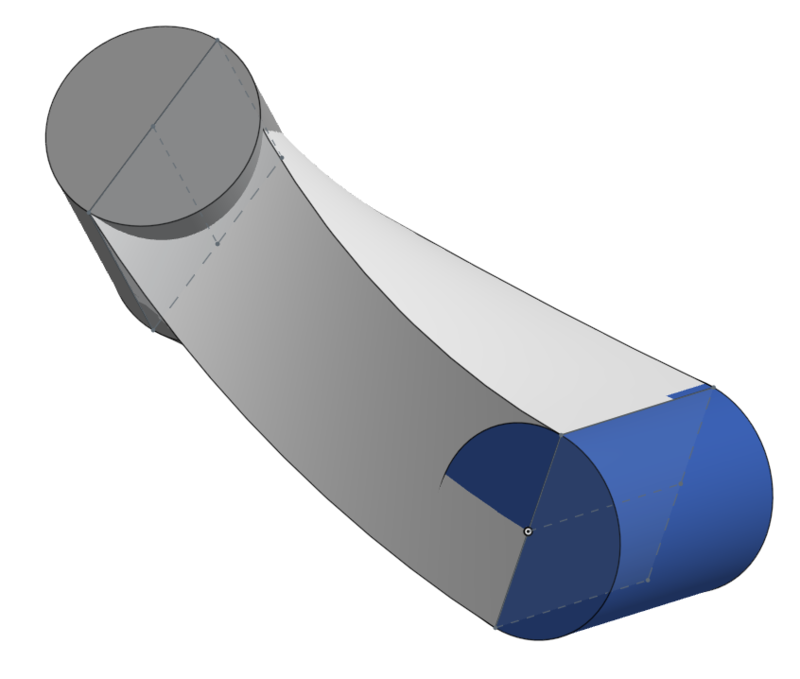 Feature plans are to add the possibility of using several curves to define the orientation fo the tool. 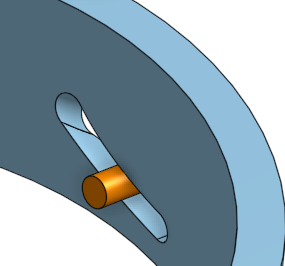 For example one curve that guides the tool by its origin and aligns the tool axis normal to the curve, and a second curve that defines the orientation of the tool. Could you show a link, please? Its all about envelopes, the idea is flying in the air, but seems like there are no general and robust solution with appropriate perfomance. - envelope for the myltyface body is significanly harder to generate then the envelope for a particular face or a limited set of faces of that body. - envelopes for cylinder faces may be made by sweeping cylinder axis along the path, and then creting offset of the resulting surface. - envelope for rotational faces of the bodies may be created by sweeping their cross section along the path. - envelopes for the outer sharp edges may be also created by sweeping those edges along the path. 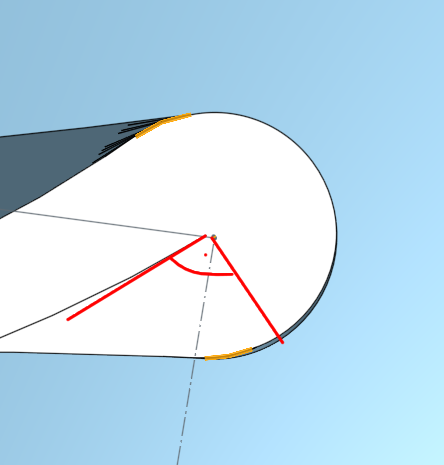 - for the general shape faces you may need to generate a number of intermidiate positions of the face geometry, and try to pick the points, for cross sections for lofted surface with some method - for example using the secting lines as in my Envelope FS. - for some general shape envelopes complex bodies should be decomposed into primitives so that you could use the rules from above for each of them separately. First of all, thank you for your participation! @konstantin_shiriazdanov yes I agree! I've experimented with creating a loft using the outer edges of each section. This COULD result in a surface where all section edges are tangential. Regarding the sweep method, I guess it is very perfomance eating if I create with every section a new sweep which has to find the outer edges of the cut, create a profile and do a sweep to the next section. The problem is also, a sweep alows no deformation of the profile like a loft. So it could happen, that the sweep end does not have the same profile than the starting profile of the next sweep. So you have edges again. Regarding the other FS you've sent, it's not quite the feature I need. But thanks anyway! I did the EXACT same thing before I've read this post. And I came to the same conclusion. 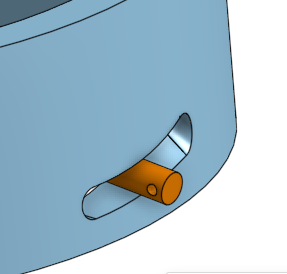 I have decided to limit the possibilities of this feature to cylindrical shapes. Like a milling cutter. This should cover nearly all CAM situations you may have when designing such geometries. Like in the first example I've posted. I thought about do a subtraction on the begin of the path, transform the body to the end of the body with all angle parameters and do another subtraction. Then I'd use the path and the envelope of the body to make a loft along the path. Sweep isn't possible since sweep doesn't allow me to change the angle along the path with a second guiding curve. As you can see, if I created an end profile that's normal to the end tangent of the guiding curve, the loft would cut too far on the bottom. 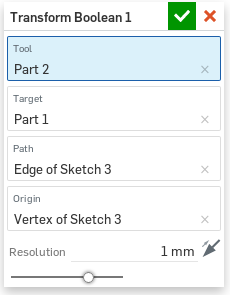 Also, the tangents from the cutting surface to the geometry of the body (yellow lines) isn't parallel to the axis of the tool which is normal to the viewing angle right now. In this case, a milling cutter rotates its axis vertically while performing the transform. On the starting point everything works out since the cutter starts horizontally. But when it comes to determining the end profile you can't use a plane to determine the outline projection. The inner side (right) would require a plane like the sketch I drew for the revolve. 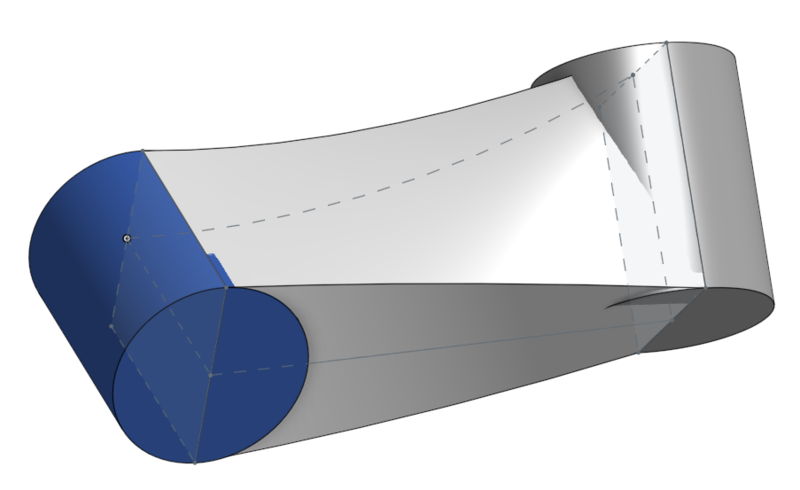 But the outer side (left) would require a plane that is normal to the tangent of the guiding curve. then what if you create a number of outlines for the parts in intermidiate positions and use them as profiles for loft? That would be possible. However, I think that creating single sections of the outline projection would really complicate the process and make the loft very complex. Right now I'm trying an approach of creating an extra surface that has that twist and use that surface for the end profile. It works but not 100% precise unfortunately. 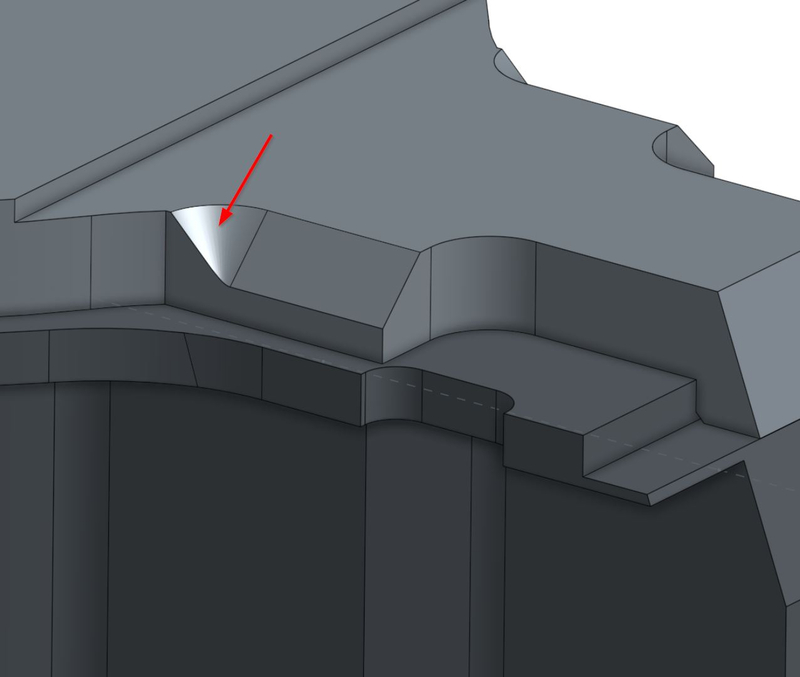 What I'd be interested in, is to be able to use the rotated end of the swept body to represent what happens when your toolpath doesn't go all the way through a part. 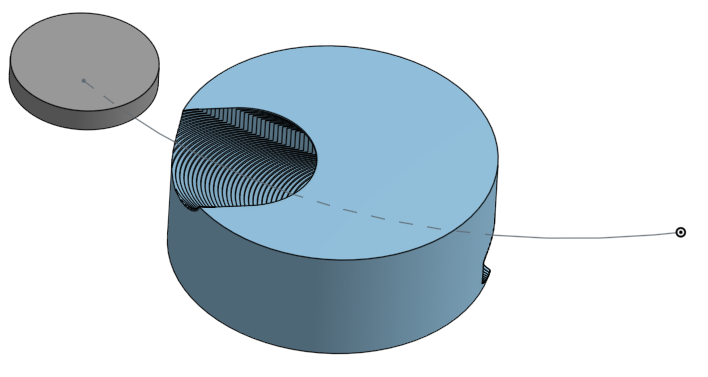 As you know, a chamfer + a fillet won't work, since the fillet can't be applied in the correct "orientation" to accurately represent the spinning mill in this case. Could this FeatureScript you guys are talking about include the "end condition" that I'm talking about? 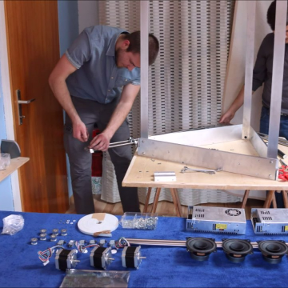 Could it be the vertex at the bottom of the part that makes it fail? (I did try it with a non-pointy bottom end and it still failed). Exactly @romeo_graham392. The end condition you are talking about is exactly what I'm trying to achieve. Unfortunately, my job didn't allow me to investigate and try this further since my last update but the goal is still the same. 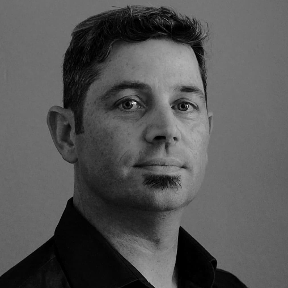 It would allow some sort of CAM modeling functionality.